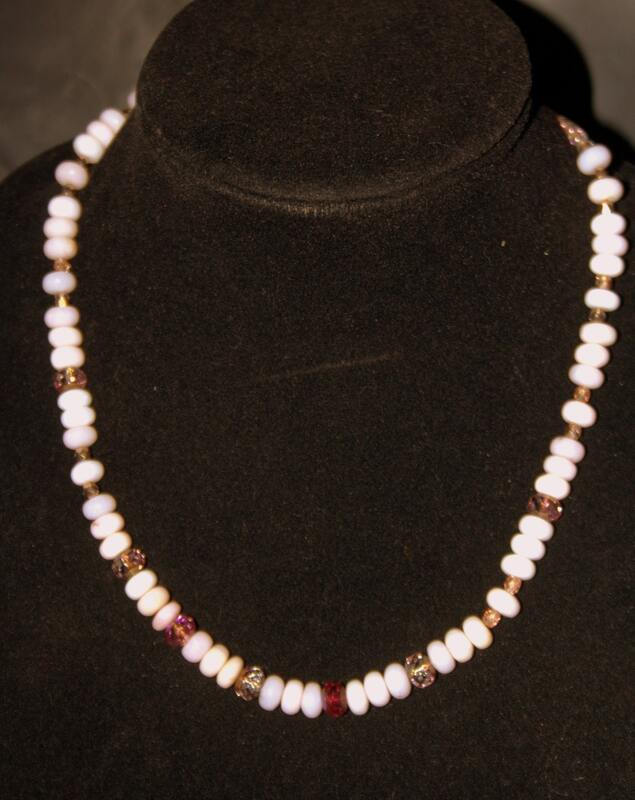 This necklace is made with a strand of lentil shaped, translucent peruvian, pastel pink opals. The opals are spaced with faceted, fire polished Czech glass rondelles which gives the necklace a little fire. 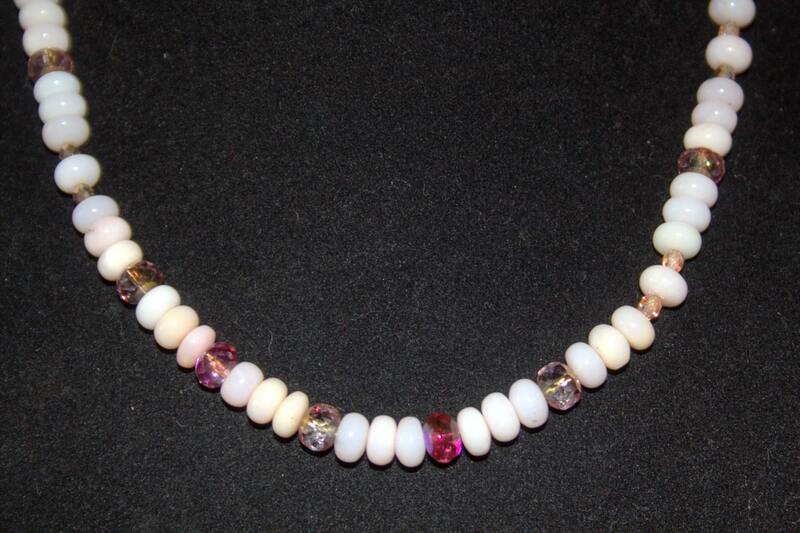 There are small facted beads in the neck line and pale pink clear seed beads going up to the gold box clasp. The name opal evolved from the Roman word "opalus" which traces its roots from the Greek's "opallios" meaning to see a change of color. 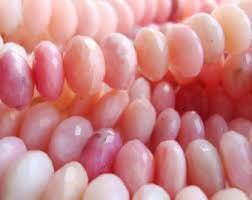 The pink opal gets its color from included organic compounds known as quinones. These opals have fern-like dendritic inclusions. The necklace is 21 inches long and is between the princess and opera length.